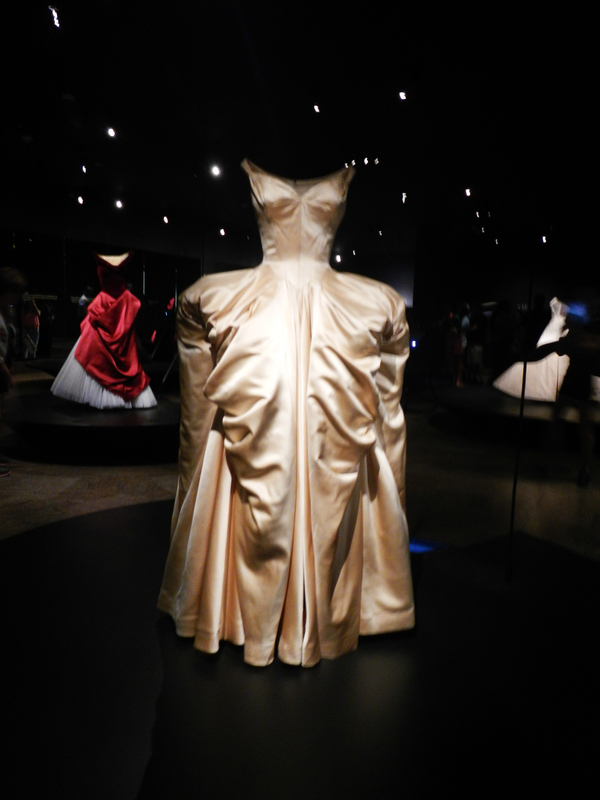 I missed out on Charles James the first time around, but sixty years later his style and technique could still help. This master couturier was credited with ‘help(ing) women discover figures they didn’t know they had’ and the current exhibition at the MET shows just how. Charles invented the puffer jacket and the Taxi dress ( so called because it was simple enough to slip on ( or off ) in a taxi… ) but the jewels in his crown were fabulous ball gowns. These works of art were designed around the shape of a woman with a layer of air between fabric and flesh that was inspired by sensuous rather than structural priorities. Add to this cross cutting techniques, elegance, and spectacular color, and voila, you have genius. 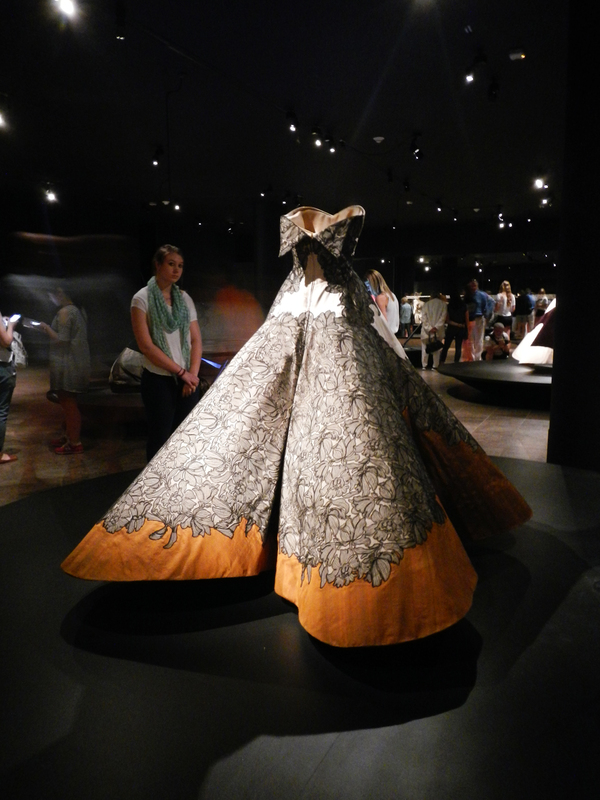 To show off the classic designs, the curators rigged cameras to sweep around the gown following the seams and so create a digital display of each cut piece laying flat. Simplicity itself. A pattern for fashion designers to follow. But Charles was anything but simple. His feathered fans and the artistry of his mood boards were inspired. He was driven by detail and the many quotes around the exhibition implied he was more a philosopher than a profiteer. Charles was photographed by Cecile Beaton and Bill Cunningham. 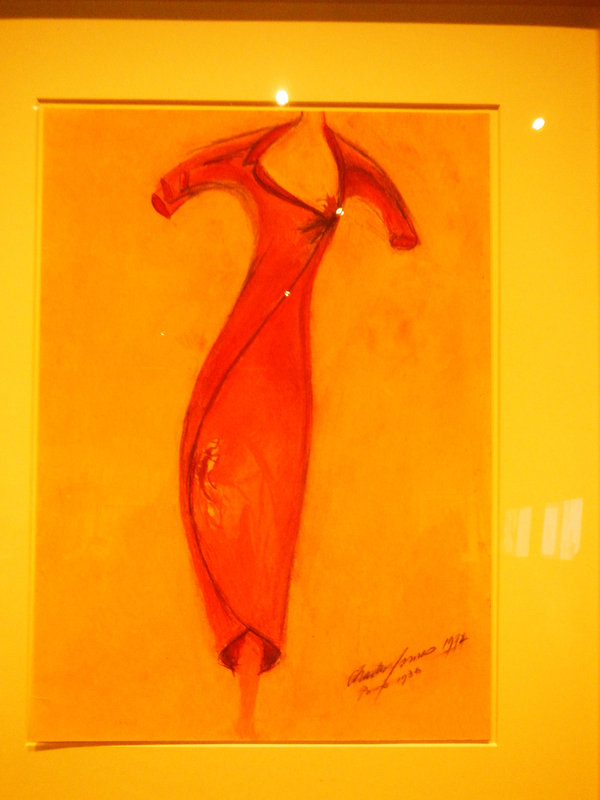 He designed pieces that were worn by Virginia Woolf and Princess Grace. 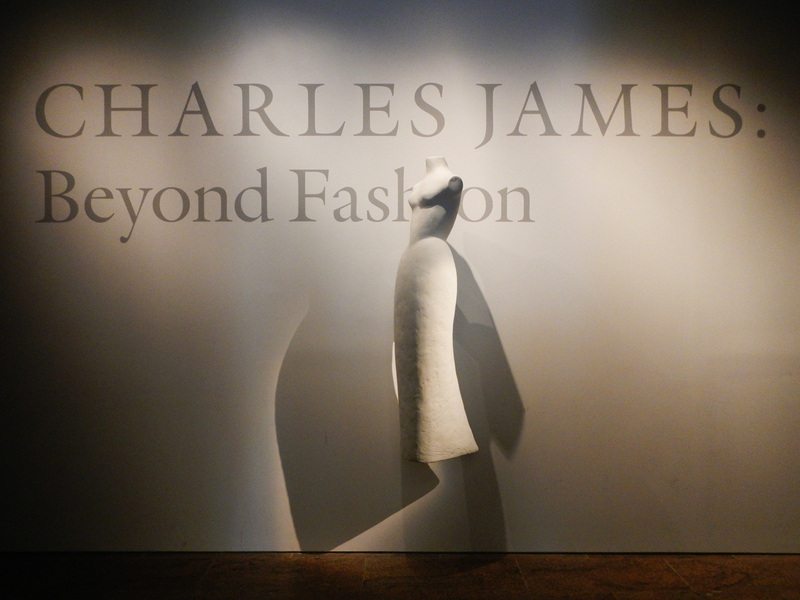 The gowns on display were principally from his gifting to the Brooklyn Museum, but much of Charles’ life ended up on the street outside the Chelsea Hotel where he died in virtual destitution. 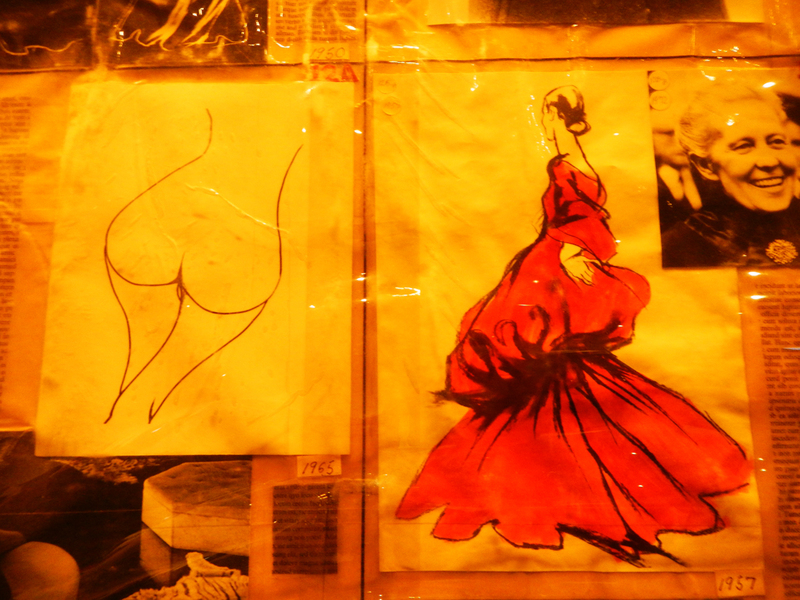 The exhibition shows the grandeur without the pain, but perhaps that is how he would like to be remembered. He was a perfectionist after all, for in his own words ‘The artist himself is like the mud-soaked soccer player, for him, it is the game, even more than the victory, that brings consummate rapture and defies comparison with worldly success’….. This entry was posted in art & inspiration, Uncategorized and tagged Charles James. Bookmark the permalink. Thanks Rosaleen. The exhibition finishes on August 10th but don’t worry there will be plenty of other things happening at the museums and beyond. You probably already have a list a mile long, but find a copy of The New Yorker and that will add another mile. If you were here today I would say the absolute must-do is a ride on the East River Ferry – tomorrow Park Avenue will be car free from 72nd street to the Brooklyn Bridge and a bike ride will be compulsory – then there is jazz at the Lincoln Centre, Barge Music, the Highline, Union Square Farmers Markets…. and standing on a street corner just watching the parade of people. It is never-ending – you will have a ball!